Car buyers aren’t hungry for the emissions-free cars manufacturers are being forced to produce. For the second time in a week I’m hearing a senior car industry exec explain that customers are a problem. They’re human handbrakes, preventing smooth acceleration towards a safer, more sustainable future for those who make cars… and those who use them. Dieter Zetsche doesn’t put it exactly this way, of course. His position as head of Mercedes and chairman of Daimler means he has a view from on high, and the language is equally elevated. We’re in a large room in a modest little chateau in the south of France. It’s a bright and beautiful spring day outside, but it’s clear Zetsche sees difficulties, perhaps danger, ahead. And times of rapid technological change are often unkind to established names. Sceptical, conservative, demanding customers only add to the difficulties. There’s a “big discrepancy”, Zetsche notes, between market demand and regulatory requirements. Daimler, he says, is spending much more on development of electric drivetrains than autonomous driving technology. Consumer negativity also dominates discussion of autonomous technology, even though it has the potential to massively reduce road deaths. “You’re getting questions: ‘Well, do you forget about the fun of driving?’ But the majority of people are curious. Less than a week earlier it was Jaguar’s design director describing customer influence on company strategy. The sun is setting over the Adriatic Sea lapping our island hotel on the coast of Montenegro as Ian Callum talks about the decision to go ahead with Jaguar F-Pace, the company’s first SUV. It seems the Car of the Future may be ready some time before the Customer of the Future exists to buy it. 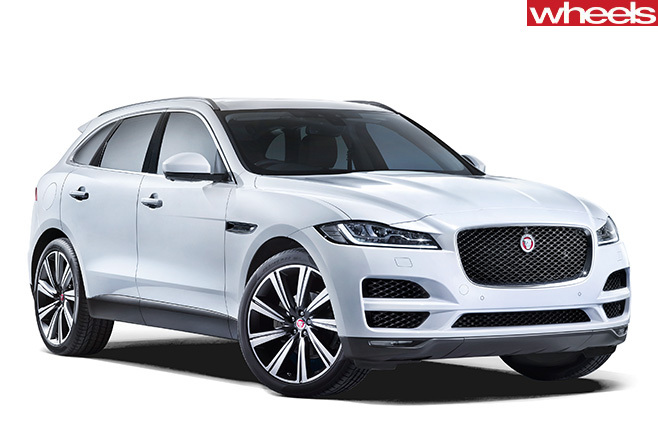 Expect more of where the F-Pace came from as Jaguar listens to the voice of its customers. “If it’s successful, then clearly we’ll think about doing more,” says Ian Callum. And the Jaguar design chief is confident of success. “I think it’s going to be the best-selling Jaguar ever,” Callum predicts.